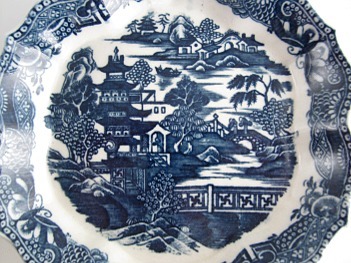 A beautiful Caughley teapot stand, decorated in underglaze blue with the 'Pagoda' pattern and dating from 1780. 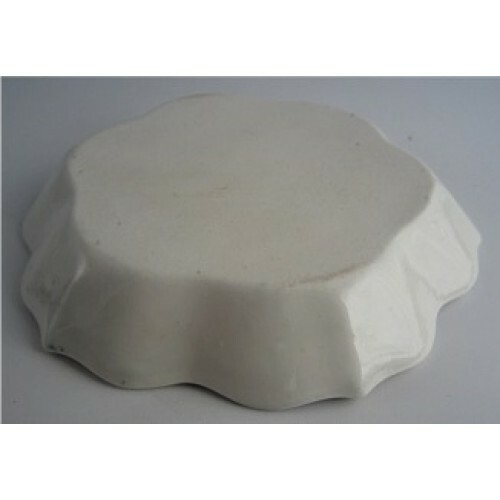 The shape of the teapot stand is hexagonal with a raised rim with a shaped and scalloped edge. 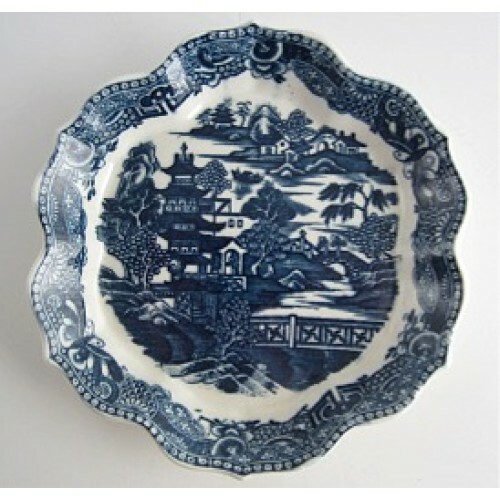 The flat base of the teapot stand is decorated with the charming underglaze blue and white 'pagoda' pattern. 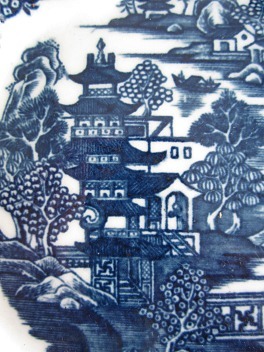 The main oriental scene depicts a large pagoda, from which this pattern takes its name, within a landscape of hills, trees houses, bridges, fencing, a boat and people. 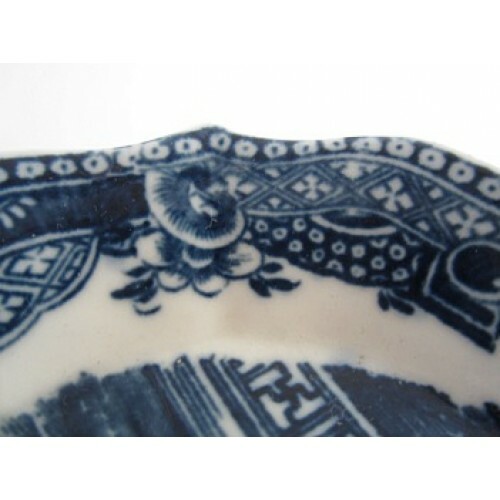 There is an associated oriental border which decorates the raised rim of the teapot stand. 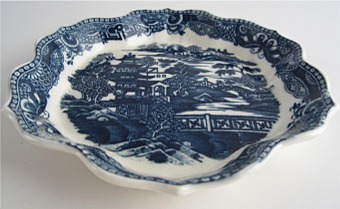 This is a first class Caughley Blue and White 'Pagoda' pattern Hexagonal Teapot Stand, c1780. 6" (152mm) max. 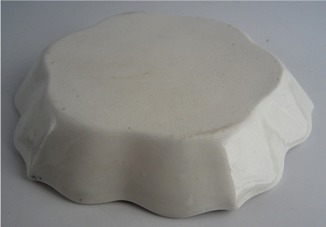 diameter of the teapot stand. 4" (102mm) max. diameter of the flat centre section of the teapot stand. 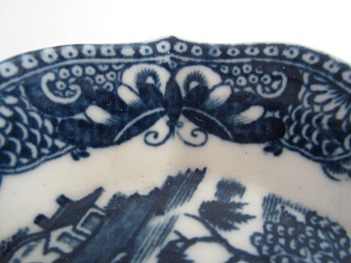 1" (25mm) height of the raised rim. This beautiful Caughley teapot stand is in excellent condition with no chips, cracks, repairs or restoration, a very clean example. 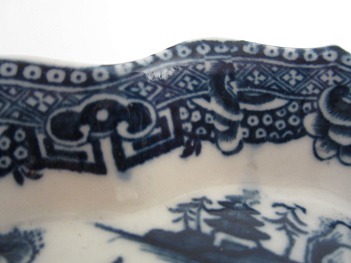 The blue and white decoration is nice and crisp and clear. This is a very fine Caughley teapot stand for the collector of Caughley or early English tea wares. 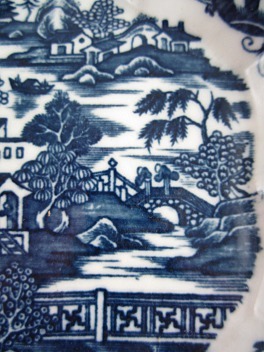 Description A beautiful Caughley teapot stand, decorated in underglaze blue with the 'Pagoda' pattern and dating from 1780. 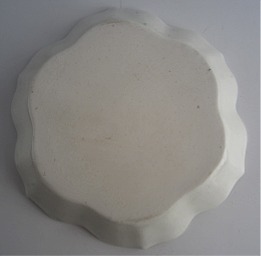 The shape of the teapot stand is hexagonal with a raised rim with a shaped and scalloped edge. Condition (See main description for full details and pictures) This beautiful Caughley teapot stand is in excellent condition with no chips, cracks, repairs or restoration, a very clean example. 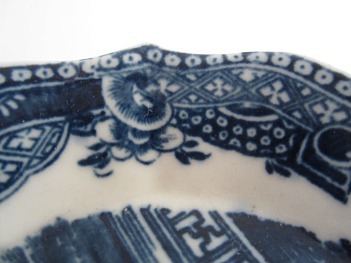 The blue and white decoration is nice and crisp and clear. 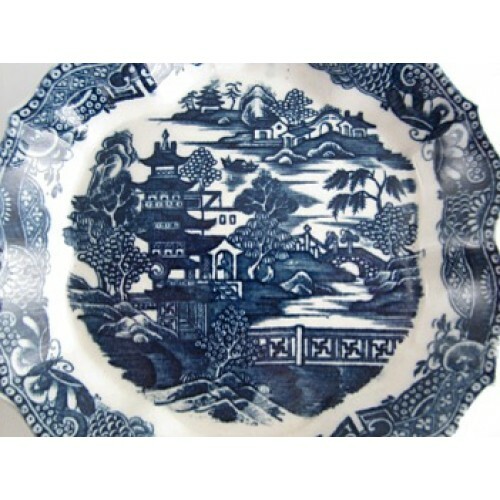 This is a very fine Caughley teapot stand for the collector of Caughley or early English tea wares.